Discover the renowned Venetian Villas. 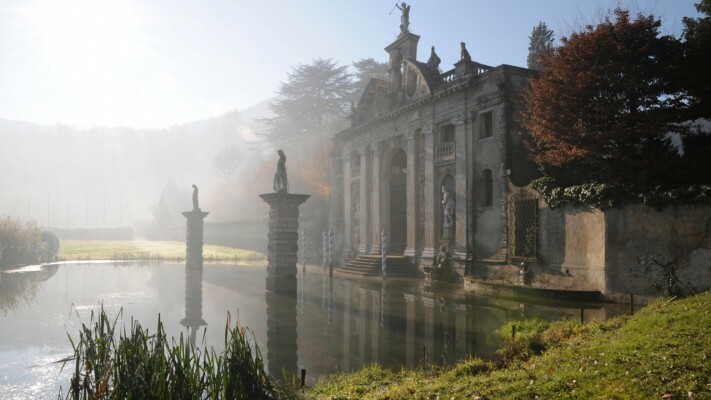 Play of light, contrasting facades, lawns, groves and gardens blend into the surrounding countryside to create natural settings animated by water nymphs, cherubs and ancient pagan divinities. The 15th Century brought the Euganean Hills a season of refined beauty and artistic flowering that finds its most complete expression in the Venetian villas. Discover the renowned Venetian Villas that flank and dot the banks of the Brenta River. In their times, the Venetian doges already used the historical boat “Burchiello” to reach their summer residences. Now as then the Brenta canal joins Padua and Venice. During a one-day mini-cruise the passengers can admire the about fifty Venetian Villas on its banks. It is also foreseen a visit to two of the most beautiful villas, the “barchessa Valmarana” in Mira and the Villa “Foscari-Malcontenta” by Palladio. At lunch time the Burchiello makes a stop so that guests can enjoy some delicious fish dishes.